Congratulations on taking the preliminary step toward healthier hearing by booking your hearing exam. 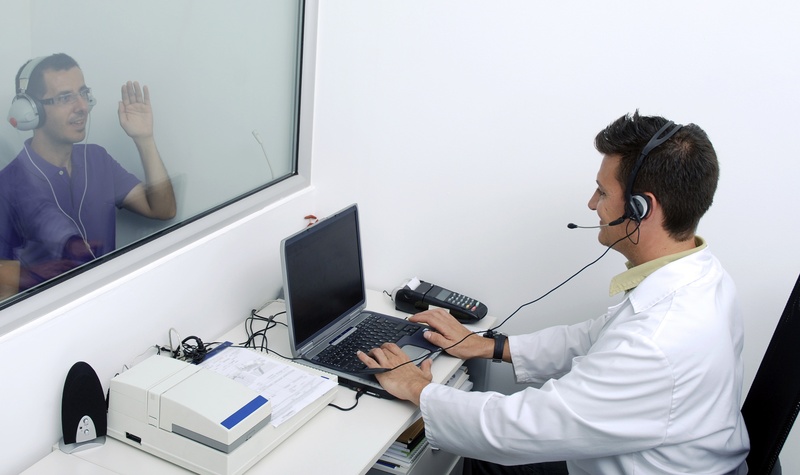 You’re already ahead of the game, as most people delay getting a hearing test for years—in some instances decades. But now that you’ve booked your hearing test, you’ll want to see to it that you’re well prepared for the visit, especially if test results reveal that you could benefit from hearing aids. Purchasing hearing aids can be challenging, but if you ask the right questions, your hearing care professional can help point you to the ideal technology. To attain the best hearing you can, make sure to ask these five questions at your upcoming hearing test. 1. What type of hearing loss do I have? The form and degree of your hearing loss. High-frequency hearing loss is most common, and is classified as mild, moderate, severe, or profound. How hearing aids can help, and if and why you’d require hearing aids for one or both ears. Hearing loss in both ears is best addressed with two hearing aids, and the audiogram will present the results for both ears. 2. Which hearing aid is best for my needs? Every patient’s hearing loss and hearing needs are unique. The more your hearing professional knows about your lifestyle, the better they can recommend the suitable technology. If you’re particularly active, for example, you may give thought to the latest hearing aid technology with wireless capability. If you don’t need all of the bells and whistles, on the other hand, a more cost-efficient solution is probably a better fit. 3. What are my financing options? Next up is everyone’s least favorite topic—price. Although you should take into account that the benefits of hearing aids far exceed the cost (the monthly expense in most cases being less than the cable TV bill), the price can still seem high. 4. How can I most effectively adapt to my new hearing aids? After you’ve picked out your desired hearing aids and have had them professionally fit, you can head home and immediately hear perfectly without any problems, correct? Not exactly. Just like anything new, you’ll need some time to adjust. You’ll be experiencing sounds you haven’t noticed in a long while, your voice may sound different, and the fit of the hearing aid may feel unpleasant. This is completely common and expected, and will resolve itself in a short amount of time. You simply have to be patient. Make sure that your hearing professional gives you instructions on how to best adapt to your hearing aids, including how to operate them and how to learn the features. 5. How do I maintain my hearing aids? Hearing aids are intricate and dependable devices that should function reliably for years. Even so, they will necessitate habitual cleaning and care. Ask your hearing professional about cleaning kits and practices, storage methods, accessories, and battery management. In addition, it’s a wise decision to have your hearing specialist professionally clean your hearing aids a few times a year. With the help of your local hearing care professional—and by asking the right questions—you can assure the best outcome and a life of better hearing.